Water. Along with air, it is one of the two most critical components for life. This discussion is focused on water, how it is used, abused and taken for granted. Also, it’s one person’s prediction of the future and primarily, it is devoted to drinking water. Without water in our bodies, we could not see, move, breathe or live; deprived of drinking water, we would die within three days. Seventy percent of the human body is water—it contains about 40 quarts of water and we lose about a gallon of water a day. We are all acutely aware of the latest water issues: “We are running out of water.” “All of our drinking water is contaminated.” “To be healthy, we have to drink alkaline water (or some other mysteriously treated water).” These are either gross exaggerations or just plain wrong. We are not running out of water, but we are experiencing a growing shortage of fresh water. The world has plenty of water (over 326 million cubic miles); however, 97 percent is seawater quality and of the three percent that is fresh water, almost 90 percent is either glaciers/ice caps, too deep in the earth to be readily accessible or in the Earth’s atmosphere. • The growing population has significantly curtailed the availability of potable water. Aquifers are being depleted at an alarming rate. • Americans are relocating to the arid regions of the country that are naturally water-scarce. • Our municipal water treatment and delivery infrastructure is suffering.It is out of date, undersized and badly needs repair. US EPA estimates that $384 billion (USD) is needed now to adequately provide safe drinking water to our current population. • The almost continuous identification of new health-related contaminants in our fresh-water supplies results in ever-tightening drinking-water quality requirements. • Microorganism contamination will increase with the identification of new species of bacteria and viruses, some of which may be resistant to normal disinfection processes.• Potable water is under-priced. A recent AWWA survey revealed that 80 percent of the reporting utilities indicated that they are losing money. The public takes their drinking water for granted and under-appreciates the value of water. • Climate change is expected to create new areas of drought and disrupt weather patterns, affecting aquifer replenishment. • Personal-care and pharmaceutical products (PCPPs) may become a drinking water contamination issue. These come from drugs, vitamins and other supplements we ingest that are not metabolized. Whenever someone washes hands or face or showers, bathes, etc., chemicals end up in the sewer system and ultimately, in the drinking water. PCPPs have been measured in virtually every municipal drinking water supply from a surface water source in the US. 1. Do the current concentrations have an effect on human health? • Municipal drinking water distribution systems are full of leaks, resulting in significant loss of our drinking water supplies, as much as 60 percent in some locations. • All distribution piping has biofilm growth that is capable of harboring (and releasing) health-related contaminants, including microorganisms, inorganics and organics. • Our water infrastructure is designed to deliver only high-quality water for drinking and cooking, even though less than two percent of the water entering a residence is actually used for those purposes. Americans waste more of this high-value water than anyone in the developed world. Okay, that’s all bad news, but don’t lose hope. Keep in mind that we who are manufacturers and consultants in the water treatment industry would not have employment if there weren’t solutions, both now and in the future. So, what are some of those solutions? Rather than relying on the municipal distribution system to provide all our water, treat it at the source and reuse it. This is known as on-site treatment. The collection and use of rainwater from a roof or cistern, this water is relatively clean and, with minimal treatment, can be used for landscape irrigation, lawn watering and many other non-potable applications, including toilet flushing.With appropriate treatment and regulatory approval, it is even a source of potable water. Water collected from sinks (except kitchen), showers, baths and washing machines, can be collected, minimally treated and used for non-potable applications (also subject to regulatory approval). Both this and the previous solution lend themselves to industrial and commercial applications, in addition to residential. With 300,000 POU RO systems sold in the US annually, a percentage of the population is convinced that additional treatment of municipal water is warranted. 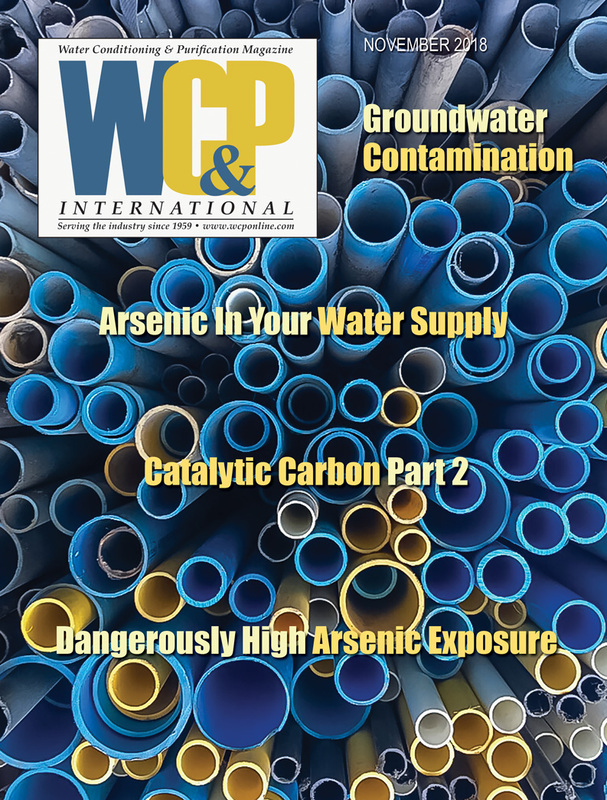 The combination of activated carbon and membrane technology in these systems will reduce some of the PCPP contamination, as well as reduce other contaminants that may be in the water. POU treatment is ideal because it addresses only water that is actually consumed. If PCPPs are recognized as health contaminants, POU treatment may be the most practical mitigation method. This involves an individual mindset, akin to that for not littering or picking up after the dog. It includes such environmentally responsible actions as installing low-flush toilets, taking quick showers, running the dishwasher only when full, repairing leaky faucets, drip instead of spray irrigation, etc. We’re all familiar with them, but lest you believe that instilling a conservation mindset has no effect,residents of Tucson, AZ have reduced their total water usage from 200 gpd/person in 1985 to 130 gpd today. Well done, Tucson! And note what is happening in California these days. Although still in its infancy, water reuse is growing at an estimated 11 percent per year in the US. Most of the recovered water is from municipal wastewater treatment plants (reclaimed water) and is used for landscape and agricultural irrigation; how-ever, onsite industrial wastewater reuse is beginning to grow at an even higher rate (over 14 percent/year, by one estimate). To reuse water, we have to treat it. So what does the treatment of water involve? It involves the removal of waterborne contaminants. No single technology can effectively and economically make water safe and aesthetically acceptable, but it is possible to assemble a combination of technologies to treat any water supply to achieve these goals. 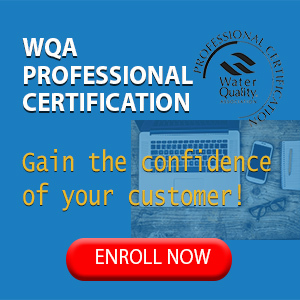 In order to determine the optimum treatment technologies appropriate for any given water supply, it is necessary to identify the classes of water contaminants in the supply and Figure 1 can aid in these identifications. Certainly, one of the most versatile and economical water treatment technology platforms consists of the four crossflow pressure-driven technologies of microfiltration (MF), ultrafiltrtion (UF), nanofiltration (NF) and reverse osmosis (RO). In these technologies, surface (membrane) filters are utilized and the bulk solution flows over and parallel to the membrane surface. Because the system is pressurized, water is forced through the membrane and becomes permeate. The normal turbulent flow of the bulk solution over the surface minimizes accumulation of particulate matter.This process allows for continuous processing of liquid streams. Figure 2 compares conventional with crossflow filtration. • Continuous and automatic operation. 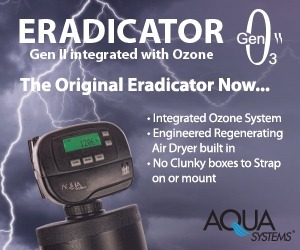 • Capable of removing contaminants down into the submicron size range. • Requires no chemical addition to effect separation. • Some have backwashing capabilities. • Generally can operate in turbulent flow condition. • Systems have a very small footprint. • Low energy—does not involve a phase change. Figure 3 indicates the class of contaminant removed by each of the membrane technologies. 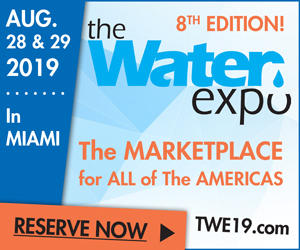 Water/wastewater treatment industry professionals are exposed to a constant supply of new, revolutionary technologies, most of which fail miserably once exposed to the cold, hard forum of commercialization. These often involve nanotechnology, tiny materials measured in units of 10-9 meter (nanometer) and a number are described as follows. • Filters containing pores of this size; others utilize carbon nanotubes, nanocapillary arrays or functionalized nanoparticles. • A nano-sized silver device to inactivate microorganisms in cup-sized containers. • A graphene membrane with holes less than one nanometer in diameter. This membrane is claimed to reject salts by screening (size exclusions). • A tiny chip with microchannels and nanoelectrodes, which utilizes a small voltage drop to separate ions and other contaminants from water. None of these have yet been commercialized. We all know that reverse osmosis technology has been around for over 50 years and today, whenever a water supply has to be purified, RO is the primary technology of choice. That said, there are a couple of new, related technologies coming on the scene. This technology utilizes the osmotic pressure of a draw solution to pull water out of the stream to be treated. The recovered water must then be separated from the draw solution. The primary applications for forward osmosis appear to be seawater desalting and wastewater treatment. Figures 4 and 5 depict for-ward osmosis and its comparison to RO. This technology involves layers of carbon capacitors which utilize DC current to attractsalts onto the carbon. It is regenerated by reversing the polarity and discharging the salts to drain. Although now expensive and still undergoing commercialization, capacitive deionization should find a niche in water purification applications. Figure 6 depicts the operation of capacitive deionization. In my opinion, as humankind recognizes the value of decentralized water treatment and reuse, as the cost of municipal water increases, as more technologies to accomplish reuse are commercialized, this approach will become commonplace in industrial, commercial and residential applications. We, as stewards of these technologies, have an obligation to do what we can to investigate, promote and apply new, proven technologies and to encourage water recovery and reuse to meet our potable water requirements, both now and in the future.